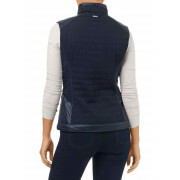 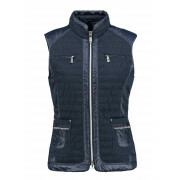 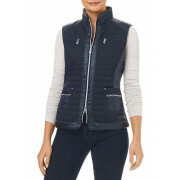 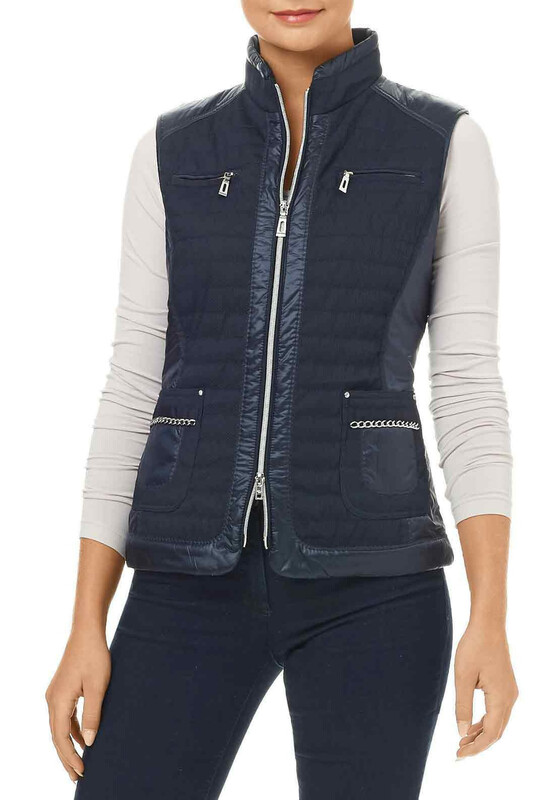 An excellent transitional outer layer, this navy gilet from Gerry Weber would be a practical choice to wear with printed long sleeve t-shirts and tops. 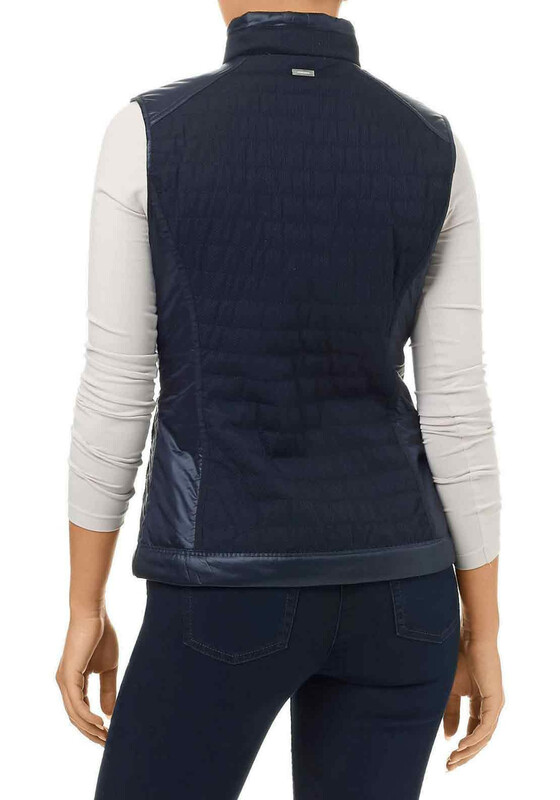 Crafted from lightly padded fabric with a quilted pattern throughout and designed with a figure fitting shape. 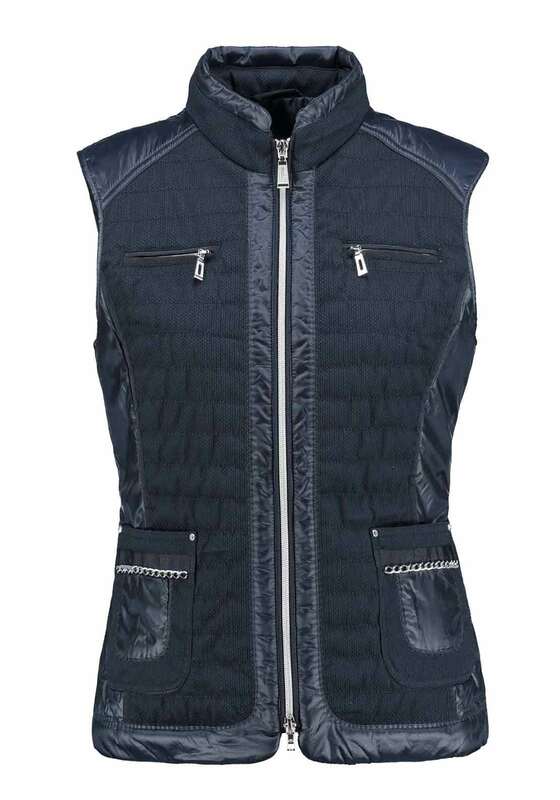 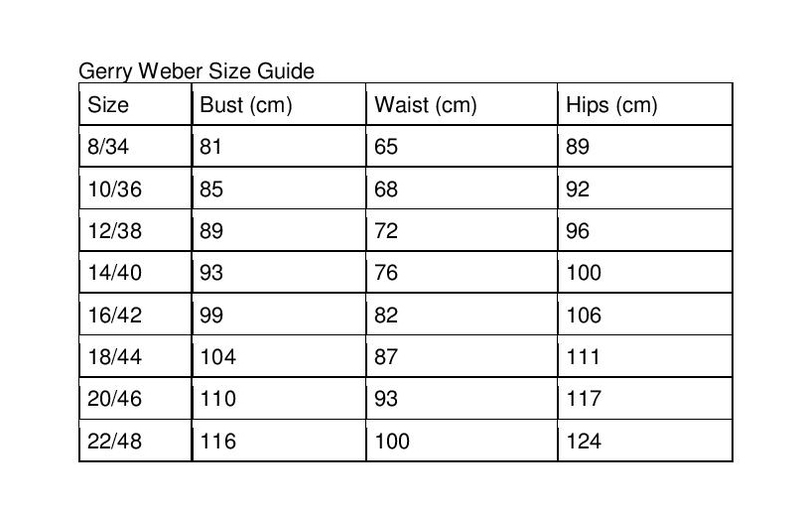 Other details include a two way zip fastening and front pockets with chain embellishment.